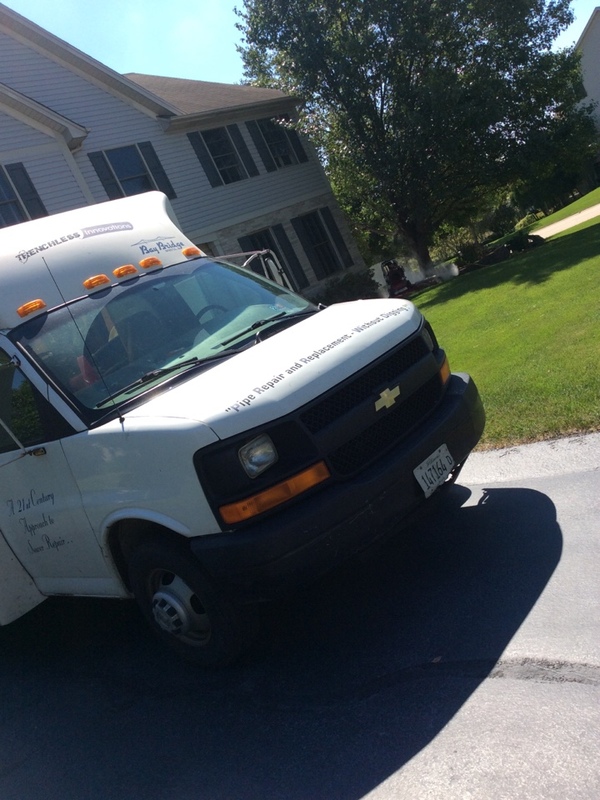 At Trenchless Innovations, we pride ourselves on offering expert air duct & sewer repair services, as well as air duct and sewer video inspections to the residents and businesses of Hoffman Estates, IL and the surrounding areas. Our reviews speak for themselves! Read our customer reviews to see why our customers in Hoffman Estates, IL are continually satisfied with our services. Televised ducts under slab floor in basement area. Ducts are PVC with metal coupling and fittings. Customer is getting slightly elevated radon gas levels. Radon company suggested sealing ducts prior to installing a radon system. Suggest spray lining the ducts with Duct Armor duct lining material. Televised ducts under slab floor. Ducts are concrete with metal connections and fittings. Some of the fittings are showing heavy signs of rust and deterioration. Front right corner of the house looked to be the worst. Suggest spin cast mortaring the very bad joints and elbows the spray lining the entire system. Video inspection of underground air ducts. Ducts are concrete with metal connections and fittings that are rusting. Suggest spray lining ducts with Duct Armor to seal and restore the ducts. Performed a video inspection of underground air ducts. Ducts are concrete with metal fittings and connections. Metal is showing signs of rust as is the plenum under the furnace. Suggest spray lining the ducts with Duct Armor duct lining material. This will restore the metal ducts and also encapsulate the concrete pipes. Video inspection of underground air ducts. Ducts are concrete with metal connections and fittings. Metal fittings and the plenum have standing water. Suggest installing an outside sump pit and pump to control the water then spray lining the ducts with Duct Armor to encapsulate the concrete and rehabilitate the rusting metal. We lined the sewer from a clean out on the overhead stack, lined about 6’ out from the house starting our liner in the 4” PVC and ending our liner in the 6” PVC, lining through a break/ shift on the 4” cast just outside the foundation wall that was getting heavy root growth causing the sewer to back up. With the liner it smooths out the shifted pipe and keeps the roots from growing into the pipe causing sewer back ups. Also saves the customer from having to do any restoration work on the yard. Video inspection of underground air ducts. Ducts are concrete possibly transite with metal connections. Metal connections and the plenum under the furnace are rusting. Plenum has standing water in the bottom. Suggest installing an outside sump pit and pump to control the water. Once water is resolved the ducts should be spray lined with Duct Armor duct lining material. Video inspection of underground air ducts. Customer is getting radon levels just over the legal limit. Radon mitigation company suggests spray lining the under slab ducts with prior to installing their mitigation system. Video inspection of underground air ducts. Did CT’s have standing water in the lines. The metal connections are rusting. Suggest installing a sump pump in the lower level of the house to control the water. After the water issue is resolved the ducts should be spray lined with Duct Armor duct lining material. Video inspection of underground air ducts due to water in ducts. Ducts are concrete with metal connections. Customer needs to extend downspouts to control the water issues then spray line the ducts with Duct Armor Duct lining material. Idea inspection of underground heat ducts. Ducts have standing water with rusting metal connections. There was also standing water in the plenum under the furnace. Trenchless Innovations suggest installing a sump pit and pump to control the water then spray line the ducts with Duct Armor.